Welcome to futures and pasts. 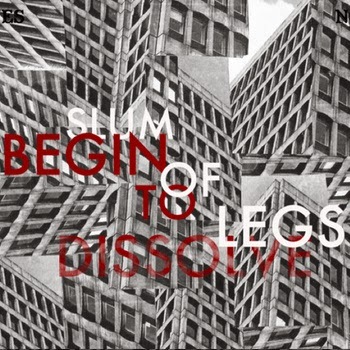 If Slum of Legs aren't the best band in the UK by the end of the year, there'll be something not quite right. They take the past 25 year of underground pop music and squeeze it out of tiny, tinny speakers. This single is magnificent, let's make no mistake. The stars of Indietracks (I missed them due to being too hot - ROCK 'N' ROLL), Slum of Legs make the kind of tense, taut glam racket that Prolapse used to specialise in around the same time as Quickspace, and which the dear-departed Shrag excelled in until their demise last year. There are violins and crunchy synths, mad wig-outs, scenes of genuine emotion (most notably on the superior b-side 'Razorblade the Tape') and a kind of lonesome defiance that is so missing from much of the pop underground right now. Slum of Legs might just give you some hope for the future if you let them. Meanwhile, and as an aside of some great importance, Tuff Enuff Records is on a run of hits so potent that you'll have to try hard not to become infected. Do not miss the chance to save yourselves. Reminded me a bit of Das Wanderlust too. Just ordered it, so cheers for bringing it to my attention!